Here is another wreath inspired by Pinterest. 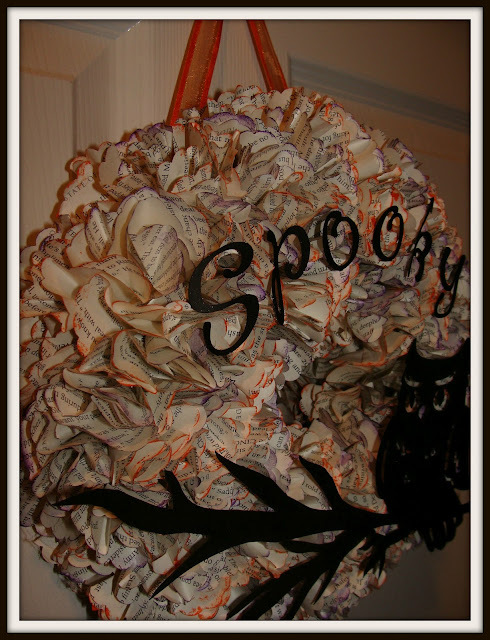 I love all the book page crafts and thought I could make a Halloween wreath using book pages. I used a styrofoam wreath from the dollar store that I cut in half to make it thinner, book from the dollar store, ink pad from Michaels $1 bin and a large scalloped punch. The owl was also from the dollar store and the branch was freehand. Although you can't see it the letters (cut on the Cricut) and the owl were lightly misted with silver. Wrap the wreath with strips torn from book pages. Ink the edges of the scalloped punches with orange and purple - and you will need a bunch of them. Then you will need a pencil with a decent eraser on it. Put the eraser in the middle of one punch and gather the edges of the punch up around the pencil. 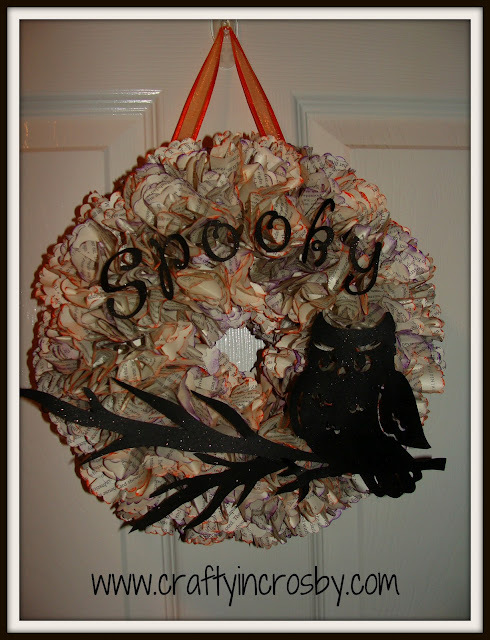 Then you can put a bit of hot glue on the paper and use the pencil to place it on the wreath. Keep doing this until you have the entire wreath covered. 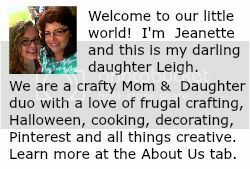 Then add your cut outs and letters. It turned out really cute and for the couple of bucks it cost, that makes it even cuter! Thanks for stopping by! I have to say it is one of my absolute all time favorites. I made one for Valentines day too but gave it as a birthday gift and failed to take pictures!